In every one of the Pokemon games, trainers have had the hard decisions of which Pokemon is best suited for their teams. Scouring the region for rare and powerful team mates to catch in their little red and white prisons, people have asked about the best Pokemon they could get their hands on for years. 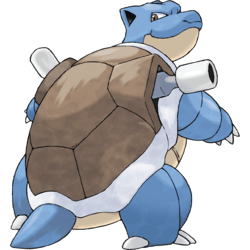 Though it isn’t the strongest of the starter Pokemon in the first generation, or any of the generations, it is a very practical water type with great stats. The reason Blastoise made this list and Feraligatr didn’t is a biased favoritism of nostalgia we had towards the Kanto starter. 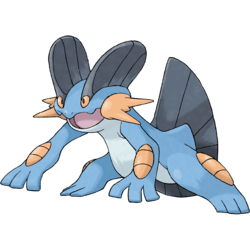 One of the strongest starters in the first three generations of the Pokemon games, Swampert has the dual typing of Water and Ground giving it an immunity to electric types while only increasing the grass damage taken. It’s move pools are strong enough to counter anything thrown at him with ease and he is a physical beast of a starter if built right. 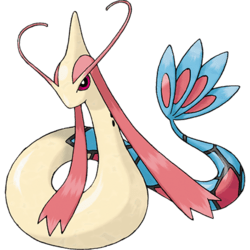 The only reason Milotic is in 3rd and not second above Gyarados is the strenuous process that it takes on obtaining it. However, this Pokemon is nearly unrivaled in water special attacks and has a move pool that is devastating to all those that choose to oppose it. 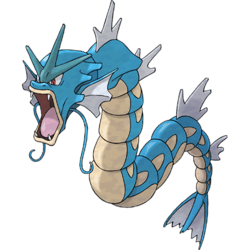 There isn’t a water list that won’t have Gyarados on it. There is something special about a water/flying type that can learn dragon dance and crush an opponent with a single waterfall attack. Its attack stat is one of the highest in the water field, and its defenses are nothing to scoff at either. A bit of a pain to obtain, but the harder they are to train, the stronger they become. Thanks, Magikarp. Kingdra makes #1 on our list because of the sheer power and potential that it has hidden. Sadly, it is one of the most forgettable Pokemon from the second generation. However, it has amazing defenses, decent speed and attack as well as special attack. Equipped with dragon dance, this Pokemon becomes an unstoppable force with only a weakness to dragon (and fairy in the newer gens). There you have it, our top 5 best water types of generations 1 through 3. 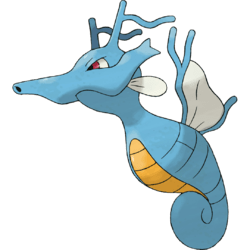 We would love to hear your opinions on this article as well as your opinions on what you think the best water Pokemon is. Thank you for reading.